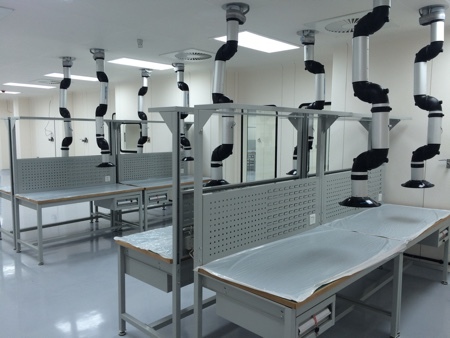 MRC Cleanroom Systems, now headquartered in Dubai, recently undertook a project for the Dubai government to help the UAE move a step closer to its space technology ambitions and the ‘Mission to Mars’. The Mohamed Bin Rashed Space Centre (MBRSC) aims to have a landing probe reach Mars in just five years’ time; however, its immediate ambitions are focused around launching innovative imaging satellite technology. MBRSC was established by the Dubai Government in 2006 and is made up of a core team of UAE scientists. They are part of a strategic initiative to inspire scientific innovation, technological advancement and to advance sustainable development in Dubai and the UAE as a whole, with the overall goal of being considered a hub for global space technology. 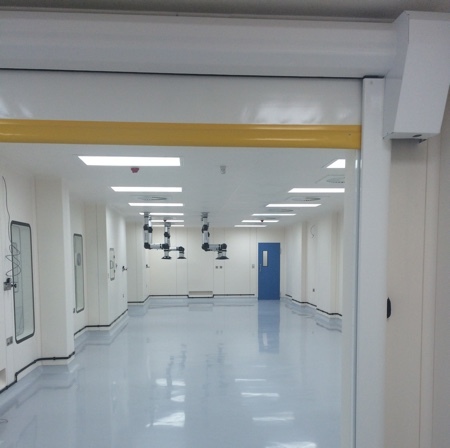 MRC Cleanroom Systems was established in 1980 in the UK, and developed a unique glass reinforced polyester (GRP) cleanroom panelling system that could meet and exceed all GMP requirements. 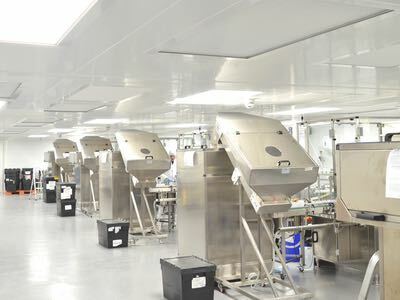 The company began by working with a number of large European pharmaceutical companies to build their new facilities. 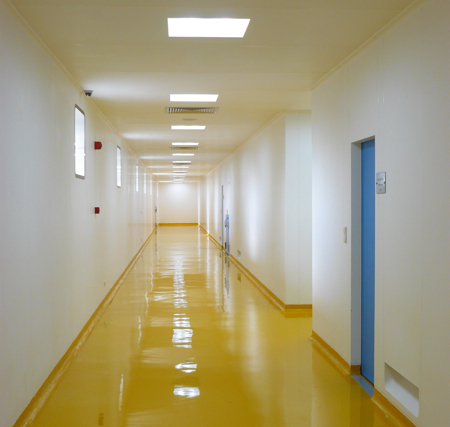 Today it is a large global cleanroom company with manufacturing capabilities in Europe, the Middle East, Asia and India, and has a sales and project team spread across the globe. 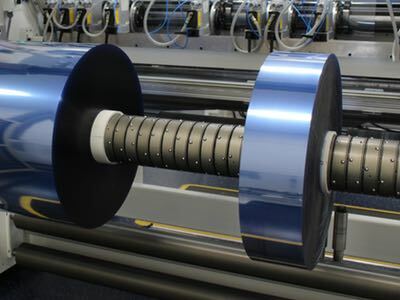 The company has completed projects in many high-end technological engineering industries. Until now, the MBRSC team has been active in the design, fabrication and launch of satellites into space. So far, the team along with its Korean partners, has developed and launched two satellites – named DubaiSat-1 and DubaiSat-2 – both of which were fabricated in Korea. DubaiSat-1 was an initiative from MBRSC to start the first Earth observation satellite programme in the UAE. The satellite was designed and developed by Satrec Initiative – a satellite manufacturing company in South Korea, along with a team of MBRSC engineers. It was a catalyst project for the advanced satellite technology of the UAE. The satellite was launched on 29 July 2009. DubaiSat-1 is a remote sensing satellite that observes the Earth at a Low Earth Orbit (LEO) and generates high-resolution optical images at 2.5m panchromatic and 5m multispectral bands. These images provide decision makers within the UAE and MBRSC clients with a valuable tool for a wide range of applications including infrastructure development, urban planning as well as environment monitoring and protection. 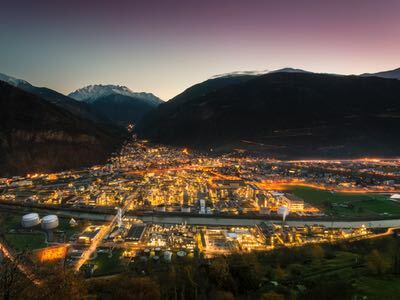 The images are also used extensively to promote geosciences and remote sensing research in the region and to support different scientific disciplines in private and academic sectors. DubaiSat-2 is the second satellite programme of MBRSC. This project was again a joint development programme between MBRSC and Satrec Initiative of South Korea, in which 20 engineers from the UAE have been working on the design, development, testing and manufacturing of the satellite. The remote sensing satellite features an electro-optical Earth observation satellite system with a Ground Sampling Distance of 1m at 600km (370 miles) sun-synchronous orbit. It weighs approximately 300kg (660lbs), a third more than its predecessor. The satellite will orbit closer to the Earth than DubSat-1 and -2, at a faster speed and will cover 17,000m2 per day, considerably more than the 12,000m2 covered by DubaiSat-1. 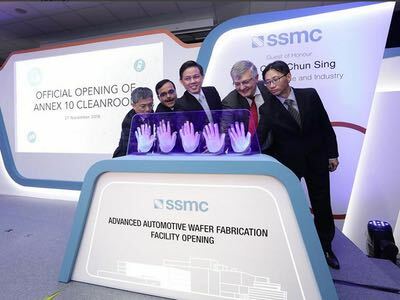 Following the success of these two launches, MRC Cleanroom Systems has teamed up with MBRSC to develop a manufacturing facility and laboratories in Dubai, that will allow the MBRSC’s team of highly qualified local scientists to have access to a world-class facility on their doorstep. This new facility will initially be used to develop the ‘Khalifa’ Sat. The Khalifa Sat will be the UAE’s most technologically advanced imaging satellite and will be developed 100% by Emirati engineers and scientists. 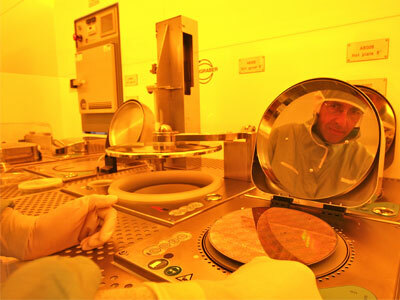 The four-year programme to develop KhalifaSat began in 2013. When complete, it will provide satellite imaging capabilities at an industry competitive Ground Sampling Distance of 0.7m panchromatic and 4m in multispectral bands to governmental and commercial entities and corporations worldwide. MRC’s scope of work covers the design, construction, installation and validation of the exciting facility to support this endeavour. 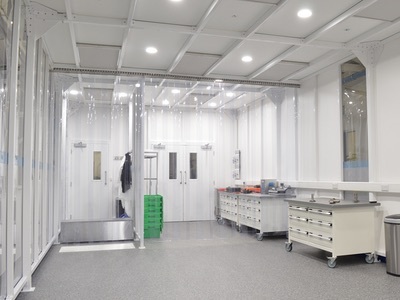 The project is split into two phases, MRC has recently completed the validation of phase 1, which consists of a mechanical and electrical laboratory as well the cleanroom area itself. 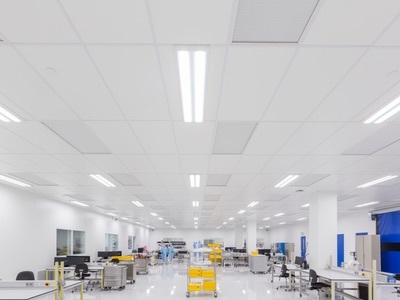 Phase 2 consists of an 11.5m high cleanroom required for assembly work of the satellite, which will reach a height of approximately 6m when fully assembled. It disperses static electricity slowly, therefore there is no risk of a spark. 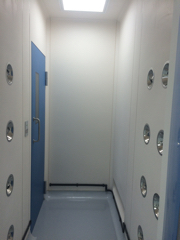 Finally, MRC built some cleanrooms 35 years ago that are still in operation today, without any panel being replaced. 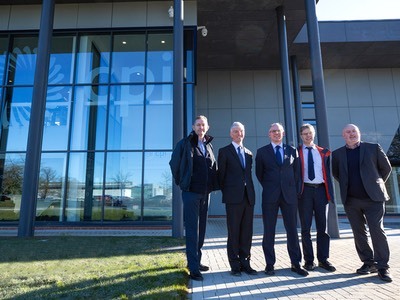 This facility is in a relatively new industry sector for MRC, whose main business for the past 35 years has been within the global pharmaceutical sector for companies such as GSK, Abbott Laboratories and GE Healthcare. 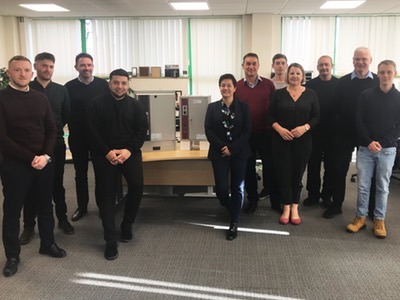 However, it had built two facilities before that served the same purpose; one for Surrey Satellite in the UK and the other for Tubitac in Turkey. Therefore it could draw on previous experience to interpret the requirements of the client effectively. High level, wall-mounted HEPA filters and low level extraction, integral within the panel. Once complete, this facility will be used as the showpiece of the UAE’s innovation in the fields of science and technology: a facility that, both aesthetically and in terms of performance, will provide MBRSC and the UAE with the basis to become a global contributor in what has been outlined as a focal point of their continued growth, both economically and academically.